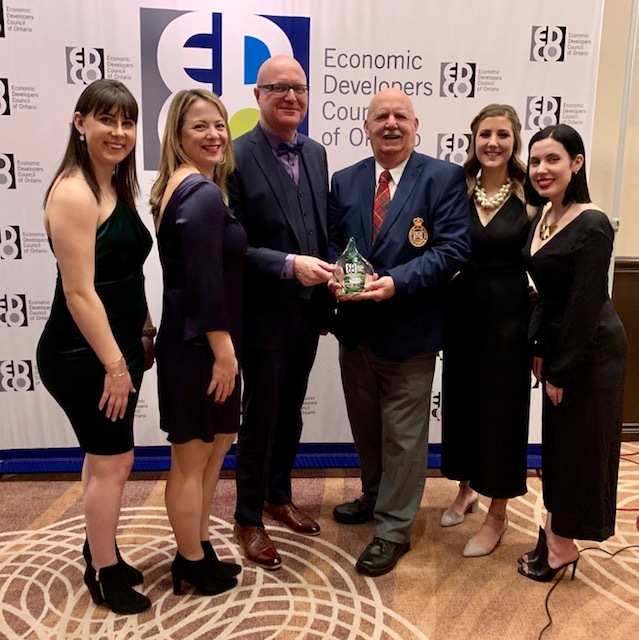 CENTRAL ELGIN, ON – The Economic Developers Council of Ontario (EDCO) presented Elgin County Economic Development with the Planning & Building Initiatives Award in the Physical Infrastructure & Redevelopment category for its Elgincentives, Community Improvement Plan. This award was presented at the 62nd annual EDCO Conference and Showcase in Toronto on January 31, 2019. This is the 12th time that Elgin County has received provincial recognition from EDCO, but not the first time that Elgincentives has been recognized for its innovative approach to planning. CENTRAL ELGIN, ON – The Economic Developers Council of Ontario (EDCO) announced their 2018 Awards of Excellence Finalists on Tuesday evening, noting Elgin County Economic Development and Tourism as a finalist. Elgincentives, Elgin’s Community Improvement Plan is a finalist in the Planning and Building Initiatives – Physical Infrastructure and Redevelopment category.